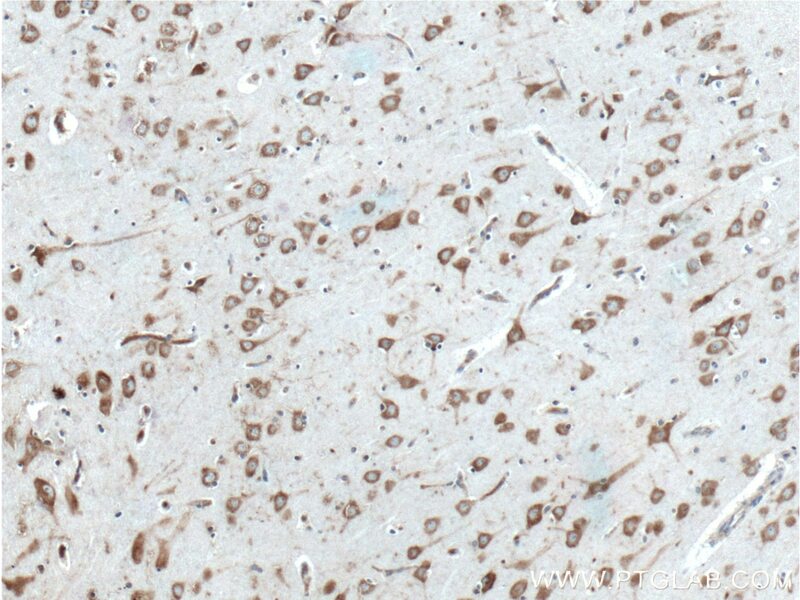 Immunohistochemical analysis of paraffin-embedded human brain tissue slide using 26449-1-AP( NME7 antibody) at dilution of 1:200 (under 10x lens) heat mediated antigen retrieved with Tris-EDTA buffer(pH9). 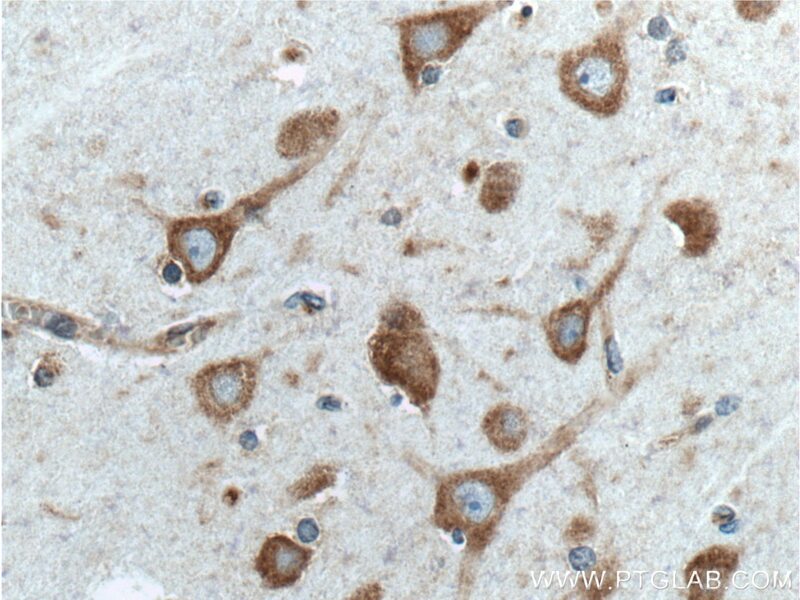 Immunohistochemical analysis of paraffin-embedded human brain tissue slide using 26449-1-AP( NME7 antibody) at dilution of 1:200 (under 40x lens) heat mediated antigen retrieved with Tris-EDTA buffer(pH9). NME7, also named as NDK7, nm23-H7, plays the major role in the synthesis of nucleoside triphosphates other than ATP. NME7 has two isoforms with MW 38-42 kDa.